In this edition of the Antiques Auction Forum podcast, I talk with Levi Bettweiser about the Rescued Film Project and found film in the form of undeveloped rolls of film from locations all over the world, which are then developed and scanned to a digital archive. 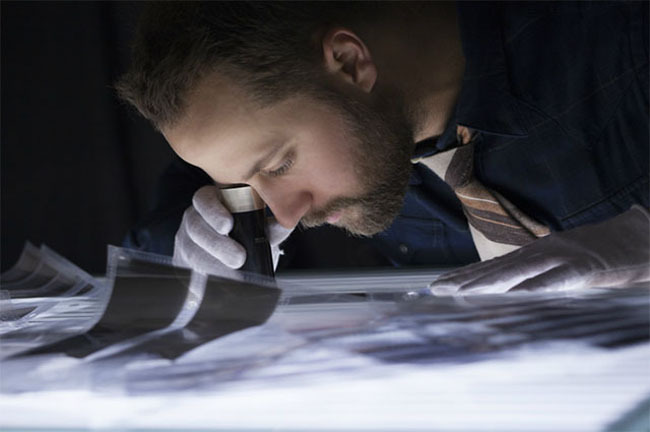 Levi Bettweiser looks over negatives developed from discarded rolls of old film. For more about the Rescued Film Project, check out this video about 31 recently discovered rolls of film from the Second World War whose images are seen for the first time. Martin Willis’ Antique and Auction Forum podcast featurs interviews with key players in the antiques and collectibles trade.